Say something has high levels of antioxidants, and health nuts will devour it by the bucketload. It seems that anything with antioxidants are a hit nowadays with the health community, given its supposed miraculous health benefits, but what are antioxidants, really? Antioxidants are chemicals commonly found in food that restricts the activity of chemicals known as free radicals. Free radicals are naturally formed in the body, which can cause an adverse reaction with other cells. Free radicals are formed by oxidation in the body, which sets off a chain of events that lead to damage. Thus, antioxidants inhibit the oxidation of other molecules, effectively preventing damage to your body. Given that your body needs antioxidants, marketers have lifted it into a nutrition rockstar status that fetches a premium price for products rich in antioxidants. People have made outrageous claims about what antioxidants could do for your body, and some are just too hard to believe. MYTH. It’s true that antioxidants have many benefits, but curing cancer isn’t one of them. To date, there is no known cure to cancer yet, and antioxidants are not the focal point in cancer research. However, it’s true that antioxidants prevent cancer by minimizing the damage that free radicals cause. Free radical damage may lead to cancer. 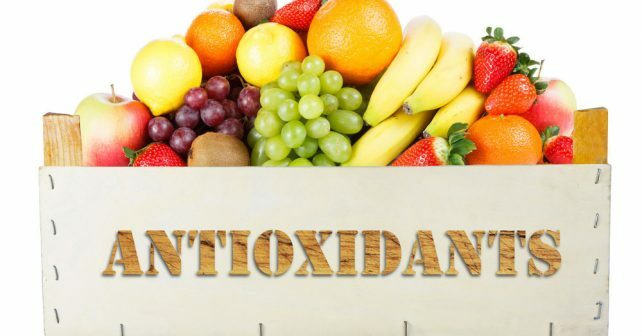 Antioxidants stabilize free radicals, and in the process, prevent cancer cells from forming. Another MYTH. Not all foods rich in antioxidants are healthy. Some widely-marketed products like 7UP are now being “fortified” with antioxidants – does that makes them healthy? No. Antioxidants are not miracle ingredients to what we eat to make it healthy. If the overall composition is high in bad cholesterol, fat, sugar, and salt, then you can assume that it’s unhealthy, even though it contains high levels of antioxidants. FACT – to some extent. It doesn’t necessarily stop aging, but to slow it down. Free radicals are one of the chemicals responsible for aging. Free radicals damage your cells slowly, making it weaker and less resistant to sickness. Antioxidants rein in the free radicals to help maintain your body in tiptop shape for a longer period of time. You can’t stop the effects of free radicals – it’s a byproduct of our metabolism. You can only slow down its effects on the body. MYTH – you can also get antioxidants from supplements. If you don’t have enough antioxidants in your diet, you can consider taking supplements rich in antioxidants, like Flat Belly, which greatly reduces the waste in your gastrointestinal system and flushes it out. Antioxidants are important chemicals that you can’t afford to ignore. As you age, the more you need antioxidants in your body. Take food and supplements rich in antioxidants to slow down the aging process, and live a long, healthy life.